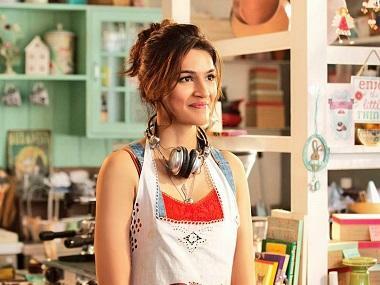 So it’s fashionable to criticise Barfi! these days. My wall on Facebook is full of acerbic updates on the movie with a link to this YouTube clip. The movie borrows liberally from a host of other movies without giving them any credit. Here is a list of a few such scenes in the movie. One of the most hilarious scenes is the one where Barfi! (played by Ranbir Kapoor) is trying to avoid getting caught by the inspector (played by Saurabh Shukla) via a sliding door. This scene has been lifted directly from the 1917 Charlie Chaplin film The Adventurer. Another scene where Barfi! wakes up from under a statue in front of a crowd is a copy from Charlie Chaplin’s 1931 classic City Lights. The ladder scene where again Barfi! is trying to avoid the police is borrowed from the Buster Keaton’s 1922 film Cops 1922. 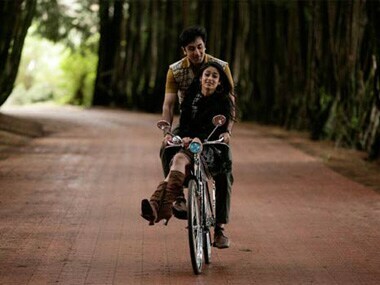 Another scene where Barfi! grabs onto a bus to run away from the police is borrowed from the same movie. There are clear influences from early Jackie Chan movies in the chase scenes of the movie. The overall plot of the movie is said to be inspired from the Hollywood film Benny & Joon (1993) and Korean film Oasis (2002). The inspiration doesn’t end here. 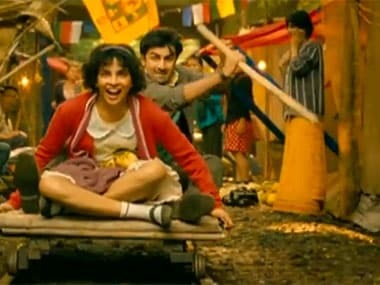 A small scene where Barfi! is trying to entertain Rimjhim (played by Priyanka Chopra) with a dummy on a sofa is copied from the hit 1952 Hollywood musical Singin’ in the Rain. (For a more detailed list click here). But the beauty of Barfi! is that all the copy-pasting fits into a coherent whole which is backed by some good performances (I thought Saurabh Shukla was fantastic in the movie), great music with some really soulful lyrics, stunning visuals of Darjeeling and an end which makes women cry (Well, when I saw the movie First Day First Show, I saw red-eyed women all around me. The only other explanation I guess could be conjunctivitis). 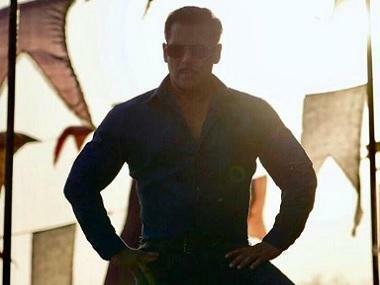 All this made the movie a total paisa vasool experience. The basic plotline of Sholay was borrowed from The Magnificent Seven, which, in turn, had been inspired by Seven Samurai. A lot of scenes in the movie have been shot like scenes in the Butch Cassidy and the Sundance Kid. The water tank scene featuring Dharmendra is a straight lift from the 1969 Anthony Quinn movie The Secret of Santa Vittoria. Mehbooba-Mehbooba, the movie’s most famous song featuring Helen, was a copy of Demis Roussos's 'Say you love me’. (You can listen to it here). The entire Veeru ki Shaadi scene is copied from a book called The House of Fear written by the grandmaster of Urdu crime fiction Ibn-E-Safi. The book was originally published in Urdu in 1955 as Khaufnak Imarat. (You can read about it in detail here). As is the case with Barfi, these influences fit into a coherent whole which the audience liked. The movie, even though it started slow, went onto become the biggest hit of all time. I still remember when Doordarshan broadcast the movie some time in the early 1990s. The city of Ranchi where I grew up was deserted that day. Ranchi Express, the local newspaper, carried pictures of empty roads in the city, the next day. Such was the power that Sholay had on the audience. Deewar, the other big Bachchan hit of 1975, was a clever reworking of Dilip Kumar’s Ganga Jamuna. But that still doesn’t take away the power and intensity of the movie. The scene where Amitabh Bachchan tells Iftikar “main aaj bhi feke hue paise nahi uthata” is simply superb. If there is one scene that summarises the entire Bachchan era of the angry young man this was it. Raj Kapoor’s 1970 mega dud Mera Naam Joker was inspired from the 1952 Charlie Chaplin film Limelight. Then there were also movies like Mahesh Bhatt’s 1992 hit Dil Hai Ke Maanta Nahi. The film is a total copy of the 1934 Hollywood hit It Happened One Night. Even the dialogues (written by the master Hindi writer Sharad Joshi) have been translated as it is from the English original. The point I am trying to make is that Hindi cinema has always had a culture of borrowing without crediting from other sources. And it doesn’t really matter to anyone. If the copying is well done (as is the case with Barfi! and was with Sholay) the audiences love it. The producer laughs all the way to the bank. The actors move onto other projects and demand more money. And so everybody gains. All this, of course, does not justify copying without credit, but as they say in Indian English, we are like this only. Now that brings me to the main question that I am trying to answer in this piece. 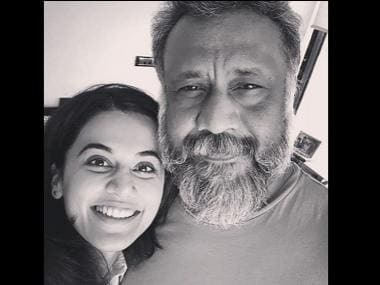 Should Barfi! have been the Indian entry at the Oscars? The answer is no. First and foremost, the movie does not have original content. But more than that, while awarding movies in the foreign movie category, what the Academy of Motion Pictures, Arts and Sciences, looks at is whether the movie could have been set anywhere else. The setting of these movies was uniquely Indian. Also, Mother India was not an original script. It was a remake of Mehboob Khan’s 1940 movie Aurat. The Marathi movie Harishchandrachi Factory, which was the Indian entry at the Oscars in 2009, was another such uniquely Indian film, even though it did not make it to the final nominations. From the list of Hindi films made this year, Gangs of Wasseypur or Paan Singh Tomar would have been better bets for the Oscars, given that they clearly fit into two genres that Hollywood loves — i.e. epics and underdogs. Gangs of Wasseypur is a story set around the coal mafia of Dhanbad which plays across three generations. The movie received a very good reception at the Cannes Film Festival. Paan Singh Tomar, on the other hand, is an excellent biopic set around an army man turned steeplechase runner turned dacoit. An underdog story that Hollywood would have loved! I am sure there would be many better movies which fit into the kind of criterion that the Academy looks at made in other Indian languages as well. Given this I’d like to conclude by saying that while Barfi! was a total paisa vasool movie but it is just not right for the Oscars.